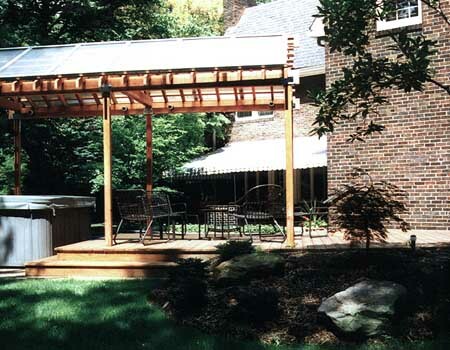 Expansion of living space to outdoor can be enhanced greatly by building structures. Blending in with the natural vegetation and terrain were kept in mind while designing these structures. 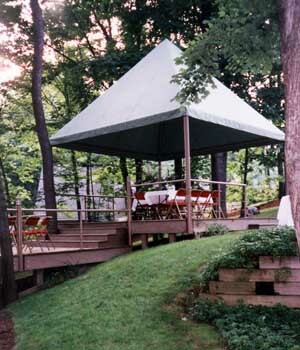 Pavilion and on grade deck as part of landscape were designed to enhance the look and use of backyard pool. 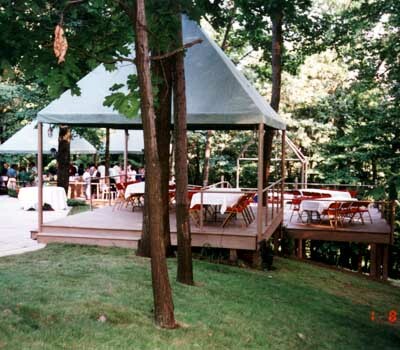 Pavilion with translucent roof was designed with redwood and commercial skylight glazing to stand on cedar deck built tightly to the ground. 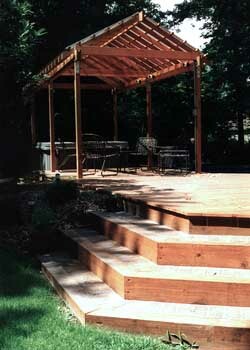 Series of free standing decks were designed to blend into an otherwise inaccessible and sloped wooded back yard. All decks are connected with bridges and some of them have covers that can be removed off season.